There are people who have developed a wrong opinion of Allah, especially after the events in Afghanistan and Iraq. They have said to themselves: where is the victory of Allah to the Muslims, and how could He give victory to the unjust transgressing American and British disbelievers? It is this issue that I will be discussing with you this evening inshaa Allah. So lend me your ears and your hearts so that perhaps we may re-affirm the good opinion of Our Lord by the end of this lecture inshaa Allah. Having good opinion of Allah is from the essentials of Tawheed (Monotheism), which many people have become heedless of. It is from the attributes of a Believer, in fact it is from the obligations of Tawheed. Having good opinion of Allah Most High is built upon your knowledge of His Mercy, His Pride, His Goodness, His Power, His Knowledge, His superiority of selection as well as your complete reliance upon Him. So if all of these conditions are fulfilled, good opinion of Allah will come to fruition in the heart. I am as my slave thinks of me and I am with him whenever he remembers me. (Agreed Upon). There is no doubt that having good opinion of Allah is coupled with good actions. Just as having good opinion of Allah is one of the characteristics of a believer, the ill-opinion of Allah and the opinion that does not befit his Majesty is from the characteristics of hypocrites and polytheists who look at Allah with a view of Jaahilyyah (ignorance) and falsehood. For how many people these days have given themselves a negative perception of Allah, and have accused Him of all His actions, and perceive that this religion will never be victorious and will never achieve its goals? Some perceive that Allah will not give support and aid His followers, and to raise them over their enemies and claim them in victory. Others perceive that Allah permits for victory to be for falsehood and its people, over truth and its people, such a clear victory that truth no longer stands a chance. Maybe it is these visions and sights of Muslim defeats and misery and agony from East to West that has brought these individuals to gain such a negative perception of Allah. Once one issue of misery or agony is resolved, another is ignited somewhere else to such a degree that they can no longer envision a resolution or an escape from such a routine. They then forget the reasons and the causes of victory and triumph, and increase their awareness and their dread towards the so-called ever-increasing power and might of the enemy, fully forgetting the might and glory of Allah in return. To those people we say: This is obviously a clear negative perception towards Allah, and they are perceptions that contradict the completeness of Allah, His Majesty, Glory, His Descriptions and Wisdom. For His Mercy, and Wisdom, and God-ship refuse from such a thing to occur. It also refuses that His people and His soldiers to be disgraced, and that constant victory and triumph to be for His polytheist enemies. He who perceives such things about Allah truly does not know the true powers of Allah, nor His Names, Attributes, and complete perfection. 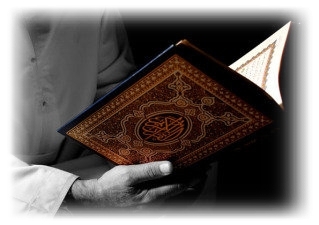 If those people perceive that Allah will not give victory to his Laws and His religion, and that Allah has written defeat to be upon the Muslims forever, and that there is no breaking out of that, then why did Allah send down the Book? Why did He send down the Prophets? Why did he decree the Religion? Why did he make Islam more powerful and above all other religions? Why did he abrogate all other teachings and methods, all other religions and ways of life with the bringing of Islam if He never meant to give it victory? So, if the causes of victory have been achieved, then Allah will definitely give victory to those who have achieved it, but if they are defeated, they are only defeated due to them, failing to achieve the causes of victory. This nation learns and is taught by what Allah decrees upon it, and the Prophet has taught us from his Sunnah how he aids his Lord and his Lord aids him. Allah does that which He wishes to do, and He has written down destiny and what He decrees before He created the heaves and the earth by 50,000 years. Therefore, whatever happens on this planet is written with Him. Allah knows and you know not. Some Muslims might think something is evil when it could be good, that is because of the shortness of their vision and inability to see the unseen. For this, we surely have to be confident in Allah, and that Allah's power is with Him, and nothing happens without His authority, and nothing occurs except according to His plans and way, and Muslims should be more optimistic of their lord. They should be in constant dependency on Him, always seeking his support and aid. Muslims of other eras, especially eras of weakness, such as our one today, should always be armed with trust and dependency on Allah. Always seeking His aid and support, and that He will aid those who aid Him. If a slave was to seek refuge in Allah, then they surely have sought an awesome stronghold. Yes, my brethren, a Muslim these days needs a lot of trust in Allah, and renewal of their faith in Him, and great dependency on Him. They should also definitely know, believe, and understand that Allah is capable of anything, and that all issues return back to Allah and to no one else. So whomsoever deceives Allah, Allah will deceive him. It is for this reason the Prophet feared none other than Allah. Allah does what He wills and decrees destiny for what He wills. This is why trust in Him and complete dependence on him is incumbent on every Muslim and it is an obligation that Islam has placed upon us. This is an excellent example of complete trust in Allah in all matters, and it is the strong pillar that a believer depends on. From the trust that the Prophet Muhammad had in His Lord he used to always believe that Allah would aid and support him and that Allah would not abandon him. Remember you are not the first to be afflicted by frustration and a sense of hopelessness, actually some of the companions were also afflicted by frustration and a sense of hopelessness because of the large power which they witnessed possessed by the disbelievers and the weakness the Muslims had towards them, as well as their small number. And when the Prophet traveled with his companion Abu Bakr to Madinah, Suraaqah ibn Maalik caught up to them for the bounty as they were being pursued by the people of Makkah. However, Suraaqahs horse sunk into the sand repeatedly. The Prophet said to him: What will be of you if you are to wear the bracelets of Kisraa [Chosroes, then the emperor of Persia]? He did not say this after the victory of Badr nor the conquering of Mecca, he said this whilst being chased. With the disbelievers plotted and planned to kill the Prophet of Allah , searched for him, and fixed a large reward of a thousand she-camels, the Prophet said to Suraaqah: What will be of you if you are to wear the bracelets of Kisraa? Obviously this was something that is very far fetched, something in which Suraaqah could not even think about at that point in time. And when the confederates besieged Madinah and gathered upon it ten thousand soldiers, the Muslims were few in number. In the darkness of the night and with the cold strong winds, they dig their trenches with their own hands during hunger, fatigue, difficult circumstances, and during their unexplainable fear for the Prophet . The Prophet descends into the trench they were digging to break a rock which had come in their way. He strikes the stone breaking off a third of it while saying Allahu Akbar. I am given the keys of Al-Shaam. By Allah I can see its red palaces at this very moment. When did he say this? He said it in the hardest and worst of conditions. These incidents occurred after everyone believed that the infidels would kill the believers in the trenches and that the believers would die under besiegement. But Allah the All-Mighty and the All-Powerful granted the believers clear victory when He sent an unexpected wind to destroy the disbelievers, and angels which descended upon them and struck terror in the heart of the Jews. Even if the disbelievers hate it. The Prophet literally saw the whole earth before him and the status of his nation will reach what he saw. Whilst we were scripting the hadiths of the Prophet he was asked, Which city will be conquered first Constantinople or Rome? the Prophet replied, The city of Hercules* is the first to be conquered. (Ahmed) *at that time, Hercules occupied Constantinople, modern day Istanbul. Rome is yet to be conquered, but surely the Muslims will conquer it because the Prophet Muhammad said so and his words are both truthful and inexorable. There are many hadiths in which the Prophet informed us that there will be many battles and combats between the Muslims and the Romans in which the Believers will be the victorious ones and the Muslims will have the last say. Therefore, the Caliphate upon the prophethood is coming no doubt and we ask Allah to be amongst its soldiers. Brothers and Sisters in Islam - We should all believe that the future is for Islam. Otherwise, what other religion can be nominated for victory and propagation, what other religion can provide people with the proper remedies and convincing responses to their diseases and doubts? Isnt this nominated religion Islam, the fastest growing religion despite the weakness of its followers today? It is incumbent upon Muslims, particularly during times of calamity and struggle, to rely on their lord and trust that he will eventually divide the world into two camps: one of Islam and the other is of hypocrisy. Brothers and sisters in Islam, why do you think the Prophet informed us of all these events? Is it not so we believe in it and prepare ourselves with Faith and good deeds in order to deal with it? We should all believe that justice and veracity are the foundations of the universe and that they are the pillars upon which the earths were established. This life began on the truth and it will definitely end upon what it began. The truth is that this Ummah (nation) will lead humanity once more. Justice necessitates that the laws of Islam rule the entire world and that the agonies and calamities of the Muslim Ummah resume. On the other hand, do not let the luring colours of the chameleon fool you. Their superiority and control is only for a short period of time. This is a decree of Allah and none can reverse it or alter it because Allah has put and end to every matter and so too shall be the end of evil. My dear brothers and sisters did you know that this nation ruled the world from the early days of the Prophethood of Muhammad until the collapse of the Ottoman Caliphate in 1924? For more than thirteen centuries this nation had been victorious; and in its rule rested the affairs of the whole world including those of the disbelieving countries. And our eternal forefathers subjected it. Nor have we forgotten it. And the soldiers of fear accept not to accompany us. You see horror and clear conquest before us. We would bury the forehead of his might lower. Firm and patient we are in our power. Until victory became the share of different nations. The disbelievers did not have power until after the fall of the Ottoman Empire. This means only 80 years ago. So how can you compare 80 or 100 years of power made up of civilisations filled with falsehood, materialism, and deviation, and forget about 13 centuries, whereby the ruling over the world was the deen (religion) of Allah, the Sharia of Allah, and the Monotheism of Allah? Therefore, it is not incumbent to even compare one specific moment from the period of history and forget about all of the past future. The empowerment of the disbelievers in this day and age is only temporary as has been decreed by Allah the Magnificent. It is from the wisdom of Allah Glory be to He, the Most High. The deen of Allah will prevail, and victory from Allah towards this Ummah is near by the will of Allah. All it needs is for someone to wipe off it the dust. Brothers and sisters in Islam: Perhaps people from amongst this Ummah have been killed, and continue to be killed. And perhaps groups of people and communities have been annihilated. And perhaps states or countries have fallen and continue to fall, losing their names and icons  This is all true. However, Islam remains. Indeed, the one who wants to confront Islam, or fight it is wretched. The comparison of such a person is like a butterfly that wants to turn out the electrical light. And Allah will continue for His light to remain (even) if the disbelievers hate it. This deen is the secret behind the continued existence of this Ummah. Verily, this Ummah was created for the sake of Islam, and its existence is for Islam. Whoever, wants to get rid of Islam, then let them try and get rid of this Ummah. However, is it possible for anyone to get rid of this Ummah? How impossible this truly is. This Ummah has been promised continued existence, not only will it continue to live on, but it has also been promised victory and strength. Allah continues to produce for this Ummah, in every period of its history, scholars, callers to Islam, leaders, and Mujaahideen that are used to serve this deen, in order for honor to be given to this deen and His believing slaves. Indeed, how many oppressors have been buried? People have buried how many disbelievers that fought against Allah and His Messenger? How many infidels have been buried? How many hypocrites and apostates have been buried? Pharaoh passed on. Namrood (Nimrod) passed on. Abraha passed on. Abu Jahl passed on. Genghis Khan passed on, and many others. A day will come when even the leaders of todays disbelievers and corruption will be buried by their very own companions. All that is required is good patience, seeking the help from Allah, and truly Allah will make His deen triumphant, but many people do not know. Know my dear brothers and sisters, that this deen, is the word of Allah Most High, and that the phrase Laa ilaaha Illa-Allah (There is no deity worthy of worship except Allah) is the word of Islam. So who is it that will be able to extinguish the light of this phrase? Today, we say to America and its Allies  You are not the first to have fought Islam. Actually there are many who fought it before you. However, what was the result? Allah destroyed everyone that stood against the path of Islam, and Allah kept the deen of Islam up high, and it shall remain that way as per the promise of Allah and His Messenger . More and more people are reverting to Islam, even its own adherents are turning back to its clarity and purity. Furthermore, there have been achievements from its people, its propagators, its writers, and organisations. Masses of people have been gathering around it. There are crowds of Muslims that lead the congregations of mosques and rituals. There is good taking place here and there. All of this is stirring up the hearts of the enemies. Consequently, those who had ill thoughts and doubt about Allah have gained their trust in Him. Let us look back at the past for a moment. Just how many wars, afflictions, and catastrophes did Islam face, only to come out of them strong, honored, and secure? What the Muslims are being subjected to today in the East and West without specifying, from killings and attacks from its enemies is due to wisdoms Allah has decreed. So we should think of Him as having allowed them to happen as signs from Him in order for the Ummah to return to its deen. And that what will come after these trials and afflictions is clear victory for the believers in shaa Allah. And that through these trials Allah will bring life to the hearts of the believers, which have been overcome with the love of the dunya (worldly life) and reliance on their enemies. Allah will resurrect these hearts through Imaan, and Jihaad for His sake. After this, there will come the victory and strength for the committed followers of Allah Most High. For this is the way of Al-Rahmaan (the Most Merciful)..."
So revere Allah brothers and sisters in Islam. Turn to Him in repentance and seek His forgiveness. Beware of having doubt and ill thoughts about Allah. We should accuse ourselves before forming a bad opinion about Allah. O Allah give victory to Islam and its people, O Lord of the worlds. O Allah grant victory to the Mujaahideen fighting for Your sake in every time and place, for you are able to do all things. O Allah digrace the Jews and the crusaders  Crush them. O Allah support the Muslims drive out the Jews from Al-Quds, and the crusaders from the the lands of the Muslims  disgraced and belittled. Decree for us a swift defeat over them O Lord of the Universe.